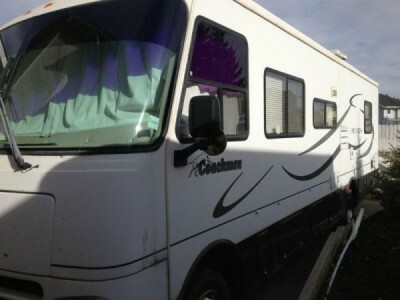 2001 Coachmen Mirada 31Ft Class-A Motorhome. 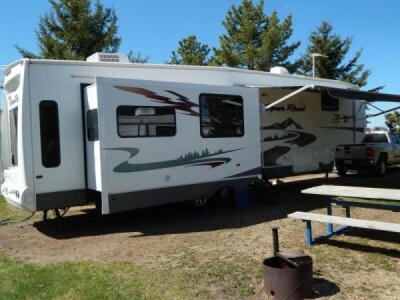 Air conditioning and heating, Sleeps 6, TV (front & back TV hook-up), TV antenna Exterior Features, DVD player, AM/FM Radio, Microwave, Shower, Fridge, Freezer, 4 burner stove, double sink, plenty of storage, Electric step, trailer hitch and full size awning. No smoking and no pets. 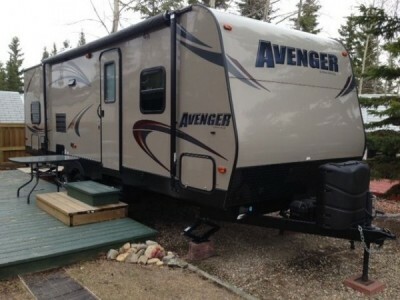 Please call 403-651-0397. 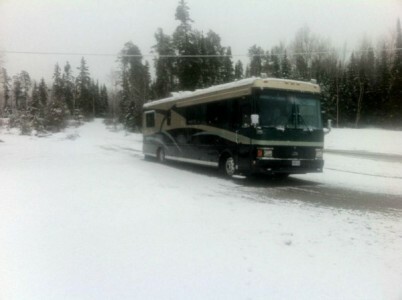 1999 Beaver Patriot 40Ft Class-A Motorhome. in motion sat. bell express or dish net. electric fridge runs on inverter when traveling. 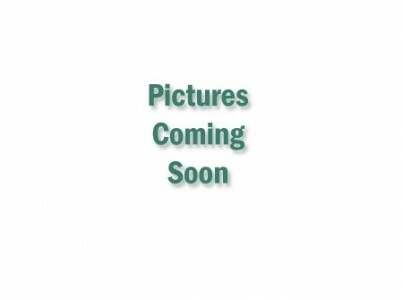 7.5 onan diesel generator motor runs, gen side need rotor and stator rebuilt. Please call 807-272-6053. 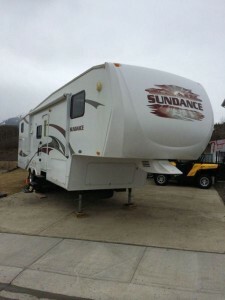 2007 K-Z Escalade 37ft Fifthwheel with three slides, Cherry wood throughout, Island kitchen, China Cabinet, Central Vac, Stainless appliances, Fridge has water and ice and is Four door, Convection Microwave, Washer and Dryer, King Bed, 2 TV's one is 42" in LR, On board Generator 5500 Watt Propane powered (very quiet), Solar Panels, Easy Pull-out Drawer in basement Storage. Tandem Axel, Aluminum Alloy Rims. ***One owner bought new in 2008, with extra shine paint protection package, Scotch guarded all fabric.This is a must see...shows pride of ownership. ***Also have a GMC Dually with extra fuel tank and 5th wheel hitch package and trailer package that could possibly be worked into a deal. ****purchased new for $135,999. now selling for $82,999.99 OBO Unit is highest rated for insulation and can be used full year. Heated below in compartments so tanks will not freeze. Please call 226-627-1113. 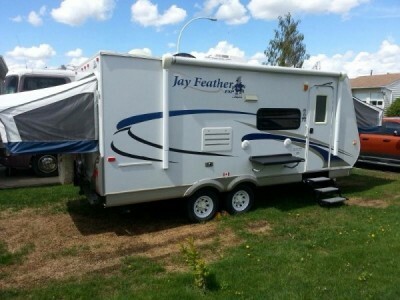 2009 Jayco Seneca 37ft Class-C Motorhome. 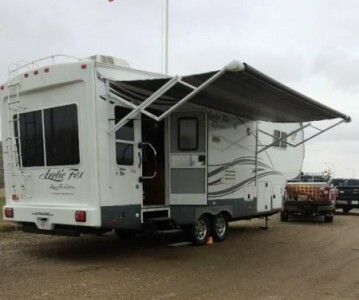 Very clean motorhome with all the luxuries of home on wheels which include: - dual slide outs with awnings-600 watt diesel generator- auto hydraulic leveling system-1800 watt inverter- 50 amp power cord-back up camera &monitor- 13,500 BTU a/c- high efficiency gas furnace- electric entrance step-power steering and brakes- cruise control- outside entertainment center-outside grill- 3 flat screen TVs- 2 washrooms/glass shower door and skylight- 8 cubic fridge/freezer- 3 burner stove/microwave convection oven- leather seats- pleated shades and MORE. SERIOUS INQUIRIES ONLY! Please call 705-744-7040. 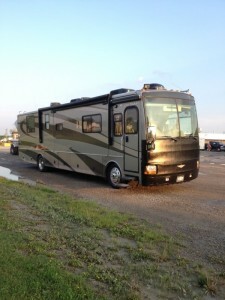 2005 Fleetwood Discovery 39S Class-A Motorhome, with 3 slides and 50,000 miles. 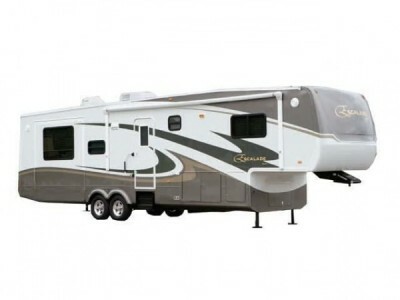 This unit comes with a Caterpillar 330 HP diesel engine, Allison 6-speed transmission, Freightliner chassis, 2000 watt inverter, 7500 quiet diesel generator, Power Gear automatic leveling system, back up camera system with audio, Panasonic DVD player, (2) TVs, 6-disc CD player, (2) ducted roof A/C units, 6-way power seats, air brakes, cruise, tilt, telescopic steering, power visors, cab fans, power mirrors with heat, CD changer, VCR, micro/convection oven, Dometic side by side refrigerator with ice maker, gas stove top, central vacuum, electric/gas water heater,washer/dryer combo, private commode, energy management system, dual pane glass, day/night shades, sofa/sleeper, soft touch vinyl ceilings, fantastic vents, solid surface counters, queen bed, wardrobe closet, 50 amp service, power steps, aluminum wheels, spot light, exterior shower, air horns, slide-out awning toppers, power patio awning, 4 year bumper to bumper warranty and more...Please call 705-855-5313 for more info or to view. Two (2) Pull out's, Auto Level - Portable Sat System. Approx. 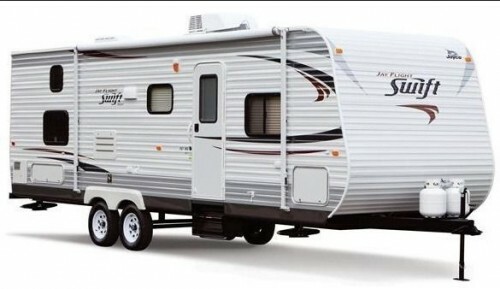 10 large compartments on the outside of trailer. 3 - 18' Flat Screen TV's. 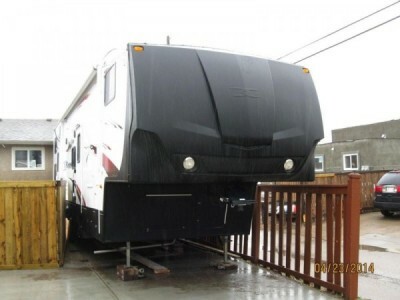 Motorhome still has two years warranty remaining. Low mileage in mint condition. Please call 705-232-5771. 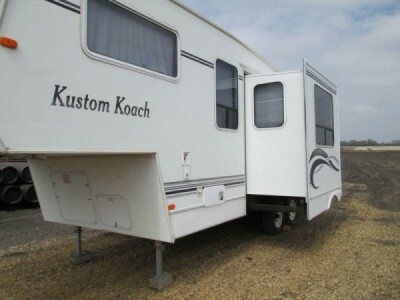 2002 Kustom Koach Legacy 26ft Fifthwheel. 25.7 ft With Slide out. New 6 volt Batteries, Propane Tanks Re-certified. This Unit has been taken very Good Care of. Sleeps 8. 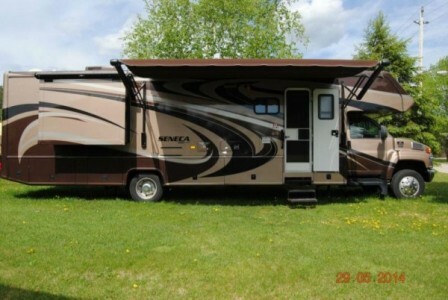 Has 2 Bunks for the Kids (double bottom, single top)at the back. Queen bed at front w/ new mattress.Fiberglass hardwalls, rubber roof, front ABS cap, patio awning, triple entry steps, folding assist handle, 15 inch tires & rims, spare tire, rear stabilizers, power landing gear, MaxxAir vent covers, dining room slide-out, enclosed holding tanks, blinds, sofa bed, sky light, 3-burner stove w/oven & cover, 2-door fridge, furnace, DSI water heater, ducted a/c, slide-out awning. Very good condition. OFFERS. Please call 780-940-2532. 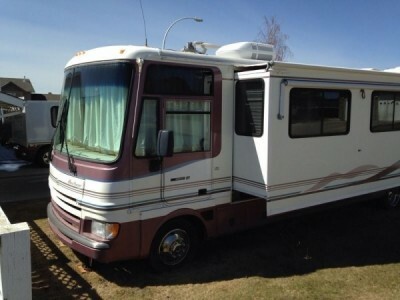 1997 National Seabreeze 33ft Class-A Motorhome. 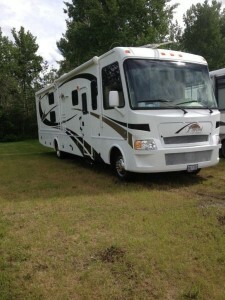 This well maintained motorhome is ready to hit the road! 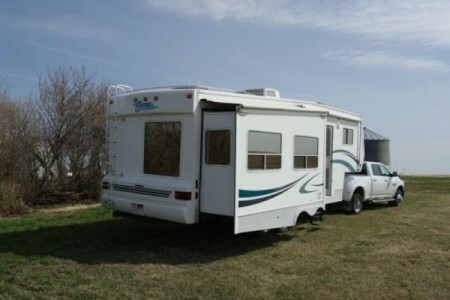 1997 Seabreeze Limited , 33 ft Ford Chassis. Cruise Control. Back-Up Camera. Built-In Generator. Upgraded Awning. Light Color Wood Cabinetry and Beautiful Hard Wood Floor. Beige and White Upholstry. Corian Counter Tops. Hydraulic leveling jacks. Bathroom has single sink, mirrored medicine cabinet with vanity lights. Large mirrored wardrobe, corner shower stall with skylight and shower door enclosure. Separate/enclosed lavatory. Will Consider Best Offer. Please call 780-940-2532. 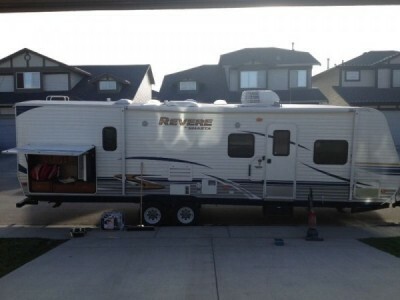 2013 Shasta Revere 30ft Trailer. 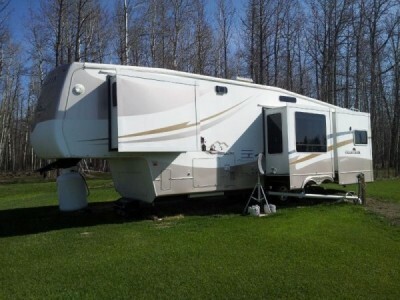 In immaculate shape, lots of futures included like: outdoor shower, outdoor kitchen, 8' ceiling inside, one queen, double and a bunk bed and sofa bed combination, can sleep easy 7 people, lots of storage place, shower tub combination, comes with a 42" and a 32" TV and so much more. 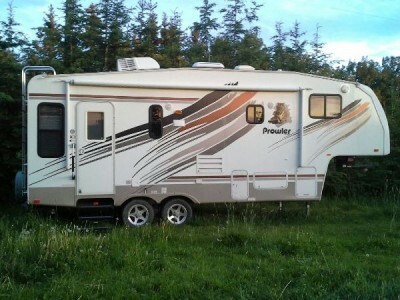 If interested call Rick @ 604-807-8398. 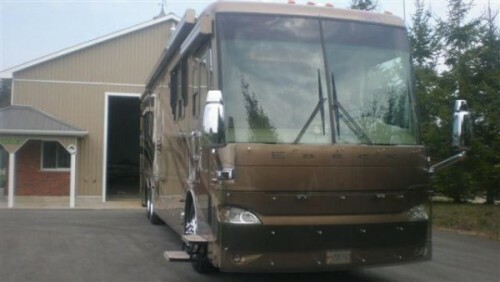 2008 Triple E Invitation 393T Class-A Motorhome. 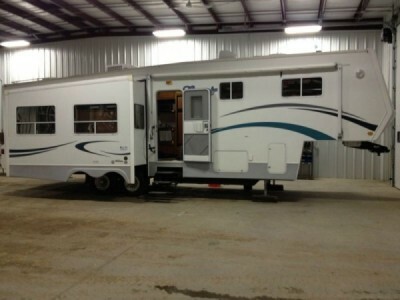 40ft pusher, 3 slides, air ride,air brakes, loaded, many extras, call for more info. Will deliver. Bought new summer 08( list price 300 k). Please call 705-272-4947. 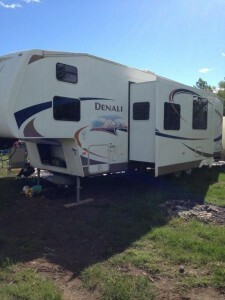 2008 Dutchmen Denali 326QB Fifthwheel. was purchased new in 2010. 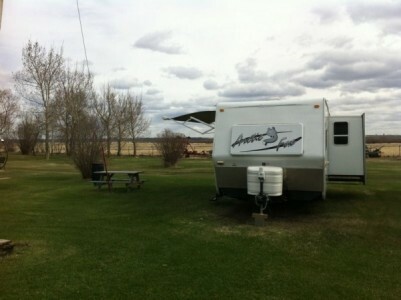 This unit has the bunks over the hitch . Allowing the kids to have there own room with 3 bunks and a fotun couch. They also have their own washroom and vanity area. This room has approx. 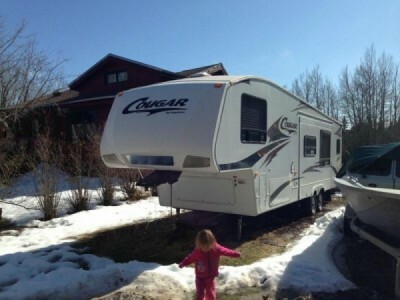 25 square feet for the kids to play games and relax. 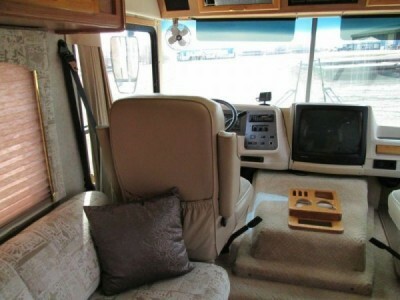 This unit also has a hideway bed and a wrap around dinette that converts into a double bed. 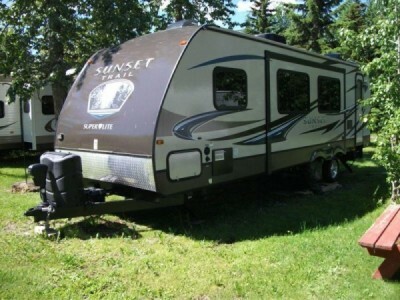 As you move to the rear of the trailer there is a 4 piece washroom with tub , shower , sink and toilet. 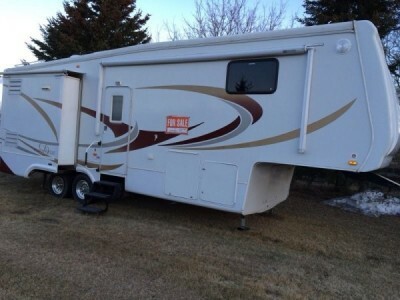 At the rear of the trailer is the master bedroom with a entertainment unit and closet space. 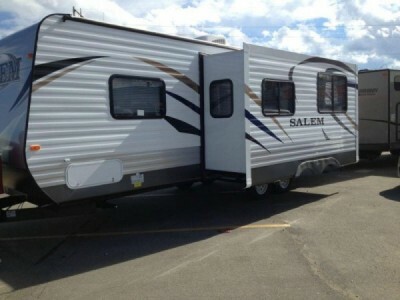 This trailer can sleep 10 people. 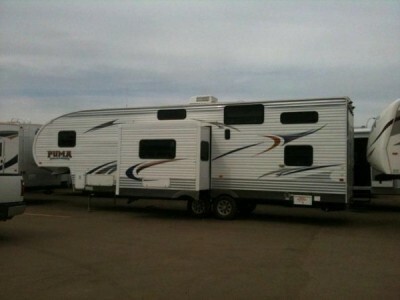 It is 36' overall and weighs 12000lbs loaded. Is has 2 black water tanks, one large fresh water tank and a grey water tank. An outside shower, with an assortment of Thule attachments for the exterior. It also comes with an automatic satellite dish. Please call 403-895-4055.